I discovered this one last night, after following a random road on Google Maps marked “Central Green Trail.” I had no idea it ended at The Peak when I began it, but we just kept going up until voi-la! Barker Road, 10 minutes away from The Peak. 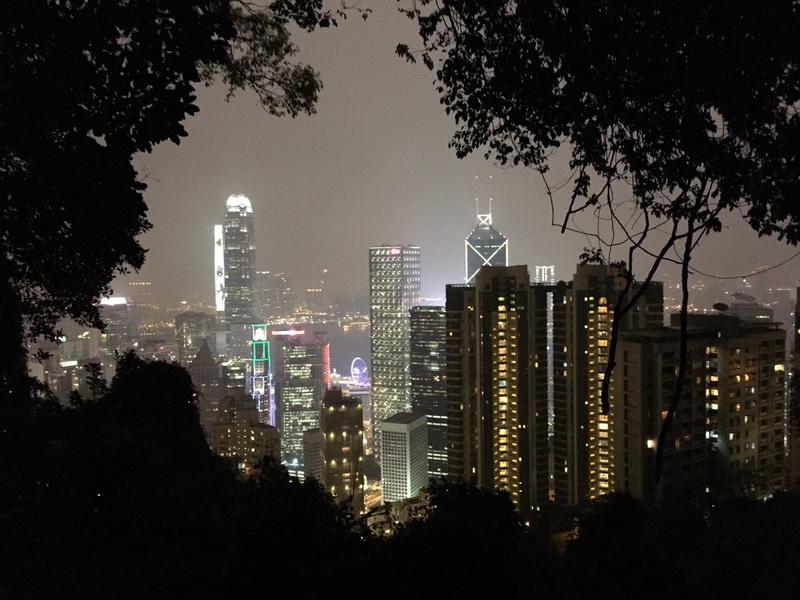 Difficulty: Easy – I found this one so much easier than the other trails to the Peak, and much more convenient from Central/Admiralty as it starts by Hong Kong Park. I would call this trail “easy” because it doesn’t have too-steep inclines unlike Old Peak Road and it didn’t feel as long as the other routes. It’s also paved the whole way up, with reasonable amount of light. I would still recommend taking a torch or at least using the one on your phone going up, though – towards the top there’s a section with no lampposts along the way. 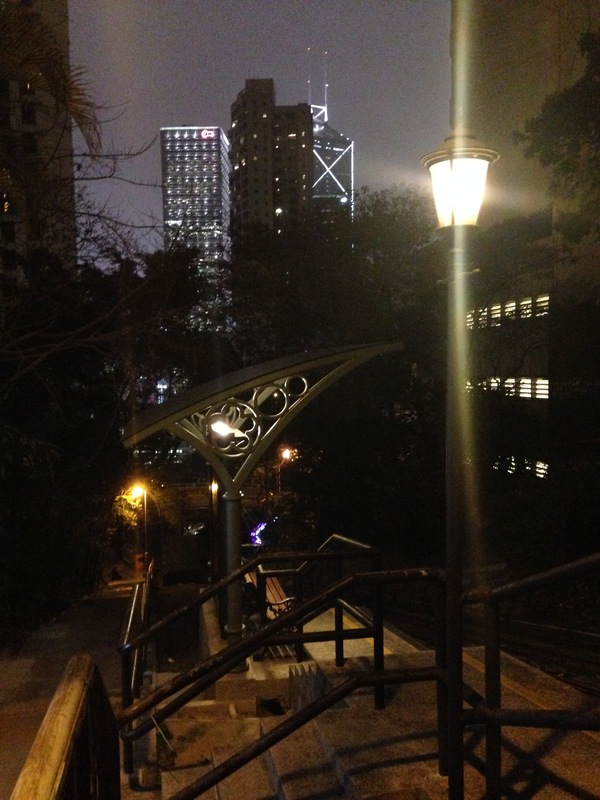 It’s super convenient to get to – from MTR Central/Admiralty Station just walk to Hong Kong Park across The Peak Tram Lower Terminus (Garden Road) and that’s where you start. Follow the stair beside the tram tracks. 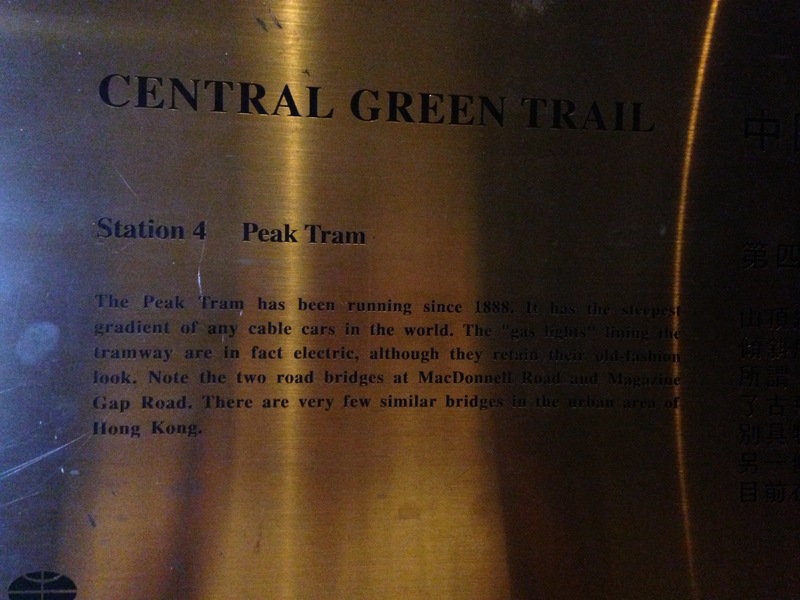 The Central Green Trail more or less follows the route of the Peak Tram line – now only used by tourists to get up to The Peak. It’s around HK$ 83 per Adult, return. But if the weather is reasonably cool and you don’t want to stand in a ridiculous queue, I suggest you walk up instead! below is a shot of one of the now-defunct midway stations. 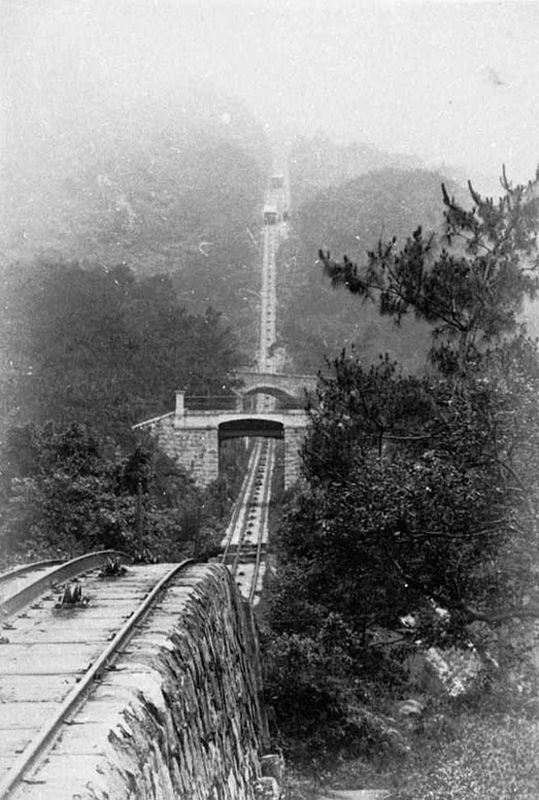 The Peak Tramway is a funicular railway in Hong Kong, which carries both tourists and residents to the upper levels of Hong Kong Island. It’s not as much of a “hike” in nature, but it’s a good, quick, easy, convenient walk up to The Peak with nice views thrown in for good measure. There’s a quieter, greener part of the trail towards the end where you feel like you’re escaping the city somewhat, peering from the jungle into a glittering, high rise landscape. 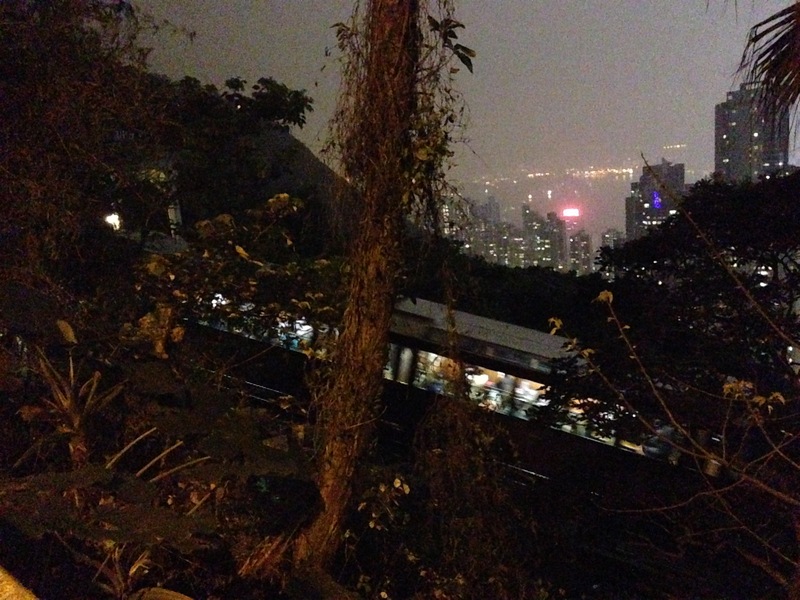 There were literally coconut and papaya trees along the way, from what I could see in the dark. It’s also a refreshing change for me, since I haven’t done this one before, whereas I’ve done the one from HKU like a million times already. From the top we just took a green minibus back down to Central from under Peak Galleria. 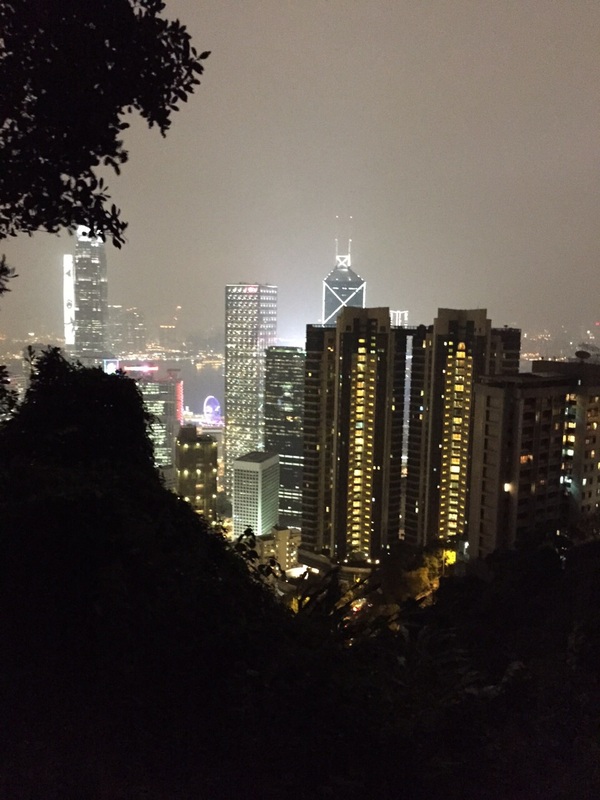 *Edit 16 January 2017 – Love hearing back from readers, and some have said this is NOT an easy walk, but considering other hikes in Hong Kong I had to label it as such for its short length. **A reader – Dr. Tune – has recommended to bring extra clothes and prepare to get sweaty! My grandpa used to take me for his morning hikes to some of these memorable sites and views. I am so glad to see the postings you share. From a photographic point of view, would you recommend the peak at sunrise or sunset? I’m in Hong Kong for 10 days and on the hunt for photo opportunities. We went on the trail thinking it was going to be easy… Heh by the time we reached the top, my clothes were soaked with sweat and I had to take off my shoes because I kept slipping in them, they were so wet. Maybe upgrade your assessment of this trail to medium/hard for thise of us who are not accustomed to walking up very steep paths for over an hour. It wasn’t the most difficult trail I’ve ever done, but I certainly wouldn’t class it as easy. Anyone with low fitness levels, bad knees or any major back problems would not be able to do it. Thank you for providing us with directions, though. It made it much easier to find. Thank you! We did this trail yesterday and it was great. I just wanted to thank you for the information, the peak tram was not an option for us! Thanks! I tried this today (in the fog, so no real view from the top) I did somehow take a wrong turn about 80% of the way to the top and sort of made my own way to the peak. It was definitely a workout, after 40mins of climbing I was pretty sweaty. “Easy” is understating it. On the way back down I passed back through the tram station and there was a huge 2hour queue (this was a Saturday) – some tourists just arriving (with a young child) were disappointed to see the huge queue so I just showed them a photo I’d taken at the top (basically just solid cloud). I hiked up and back down in less time than standing in the queue would have taken. For the less-than-super-fit (like me) I’d recommend wearing shorts and taking a spare top – it’s hot work and I could have done with a spare T-shirt to change into when I got back down. Thanks! Thanks for this post! 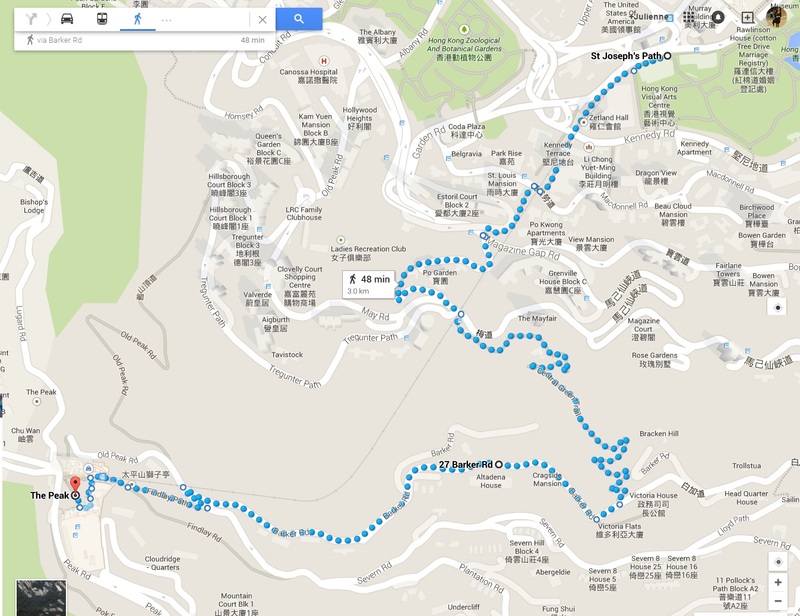 This hike looks like the perfect start for my 28h stop-over in Hong Kong in November. 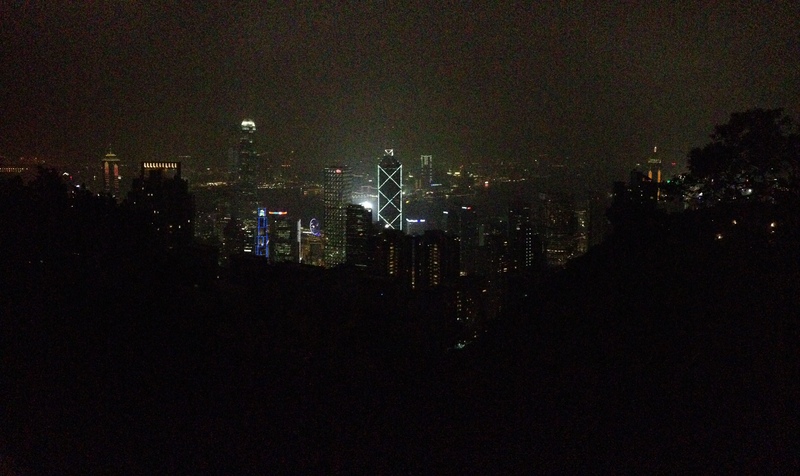 Since my flight arrives at 7AM, my idea is to go to the Peak directly from the airport. That way I can shake off the 11 hour flight with a nice but not to difficult/steep walk. I will leave my luggage at the airport and will only have my small backpack with me. Will the weather be somewhat nice to hike in november? Or will it be a sweaty affair? Is there somewhere at the top where I can freshen up? And what’s the easiest way to get to the starting point from the airport? Wow you’re already planning for November! Don’t even know where I’ll be then, haha! 1. Yes November is a good time to hike. But you will still get sweaty. 3. Bring an extra shirt / change of clothes. You can ‘freshen up’ at the bathrooms up top, not sure about showering though.